Saint Agnes are a two piece from London and this is their new single It’s A Beautiful Day For Murder. Personally it’s rather chilly right now so unless I was wearing some sort of jacket or long sleeved clothing I’d prefer a more humid temperature before committing any sort of harm to another human being. Anyway a couple months back we checked out Old Bone Rattle and found it rather stimulating on the eardrums and downstairs equipment, so we are very excited to check out this new single. Much like the process of murder generally is (which I gather from the crime/thriller books I tend to read. Not because I’m a murderer. I swear. Come round and look at my book collection, you’ll wonder why I have so many and also be disgusted at why there’s so much John Green in it too.) Saint Agnes allow their new single to drop a slinky rhythm at a slow pace which really sits well with me. A bluesy guitar comes in and lays down a couple thick licks that helps set the tone for this rather dark song, and also throws down some life-affirming solos which reminds us that Saint Agnes are well a truly alive, or that they really want to be the last thing we all hear before we’re all brutally murdered or something. Either way it sounds really nice. 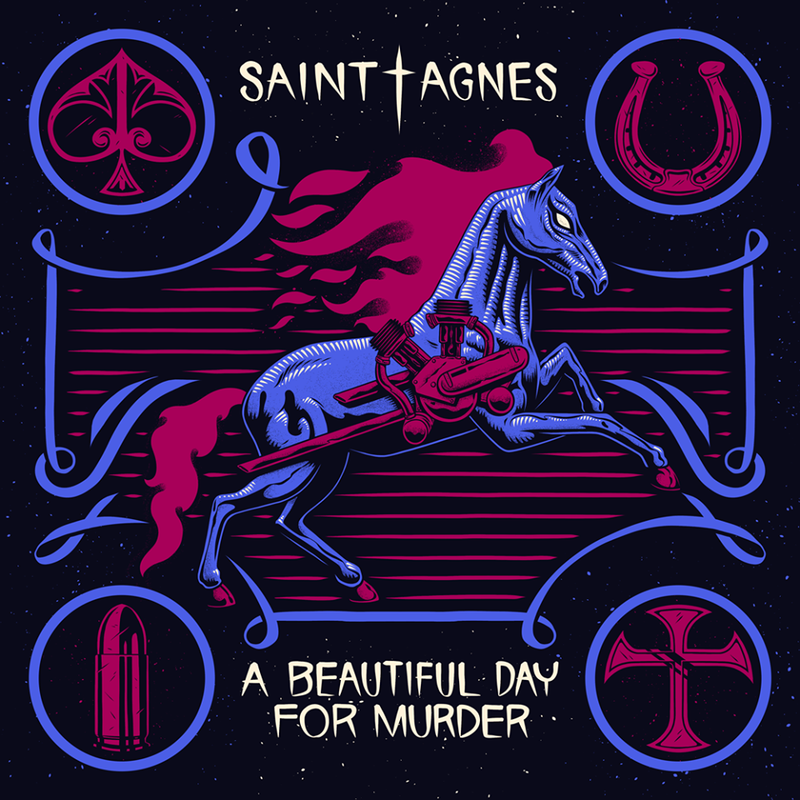 It’s A Beautiful Day For Murder is another great track from Saint Agnes. I really dig the whole bluesy aspect and the difference in sound and tempo from Old Bone Rattle. I really cannot wait to hear an album come out of these two, because it’s going to be really something. Stream it below, and for more music reviews, free downloads and tips to get away with murder check out Exploding Head Syndrome on Facebook and Twitter.